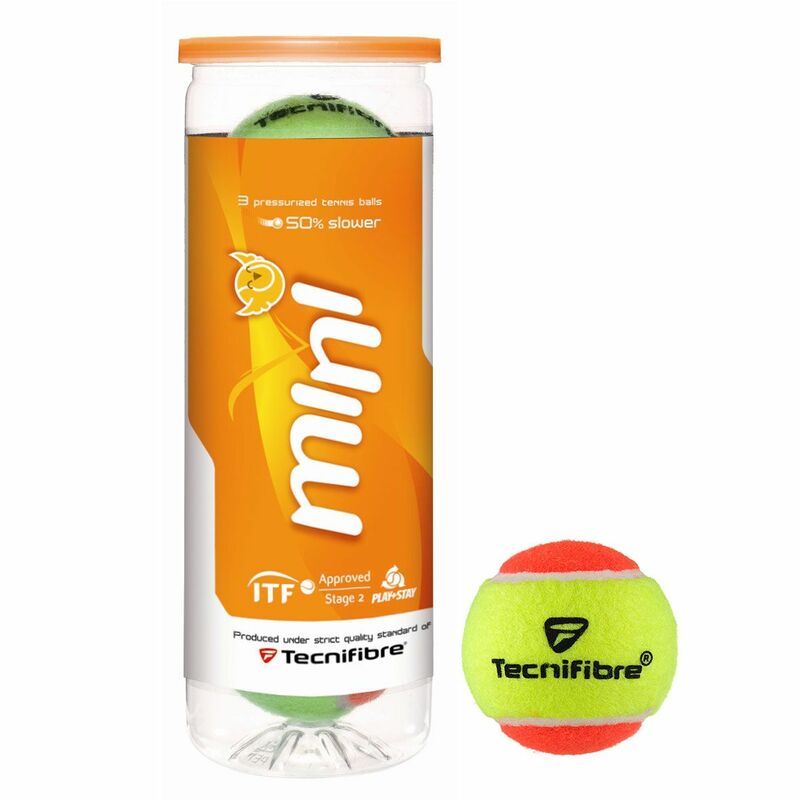 The Tecnifibre mini tennis balls are ITF (International Tennis Federation) approved and suitable for learning. These stage 2 balls are 50% slower than standard tennis balls and come in a 3-ball tube. for submitting product information about Tecnifibre Mini Tennis Balls - Tube of 3 We aim to answer all questions within 2-3 days. for submitting product information about Tecnifibre Mini Tennis Balls - Tube of 3. We aim to answer all questions within 2-3 days. If you provided your name and email address, we will email you as soon as the answer is published. Are these smaller in dimension then standard tennis balls? No, the balls are the same sizes as normal tennis ball. However the balls are approximately 50% slower than standard tennis balls and offer a lower compression and lower bounce. for submitting product review about Tecnifibre Mini Tennis Balls - Tube of 3.